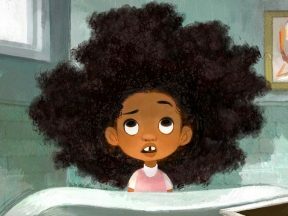 The trailer for Weekends, a new hand-animated short with an inviting illustrative style and a Pixar pedigree, debuted online today. 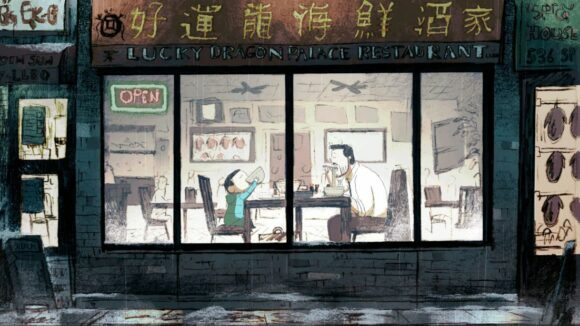 The 15-minute film was conceived and directed by Trevor Jimenez, who works by day as a story artist at Pixar. 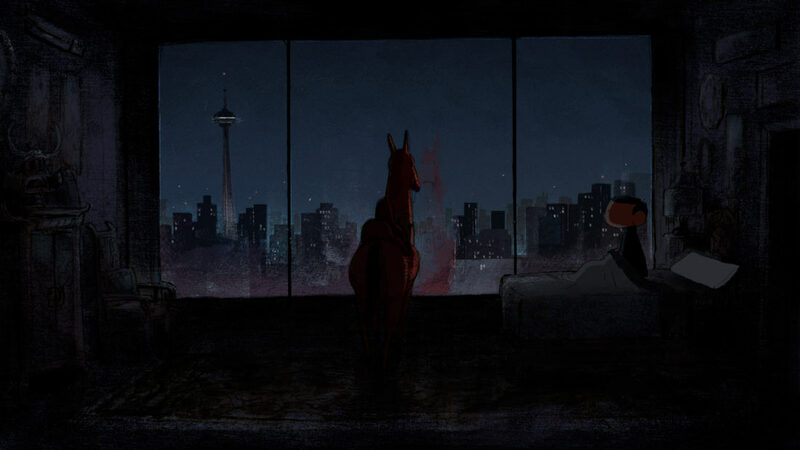 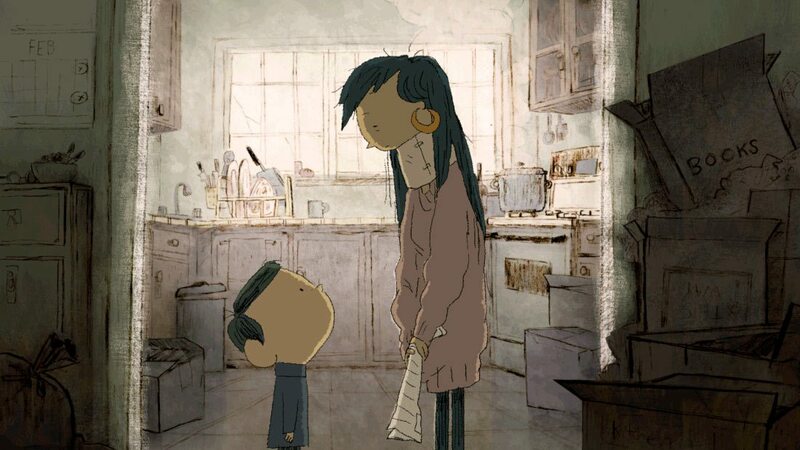 Jimenez tells Cartoon Brew that the 15-minute film is based on a personal story that he’s been boarding and editing for the past four years in his spare time. 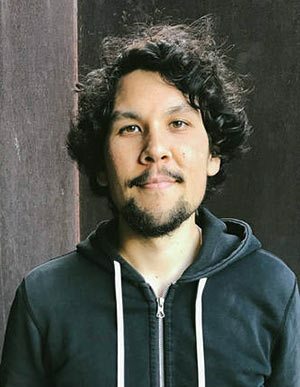 Jimenez produced the film through Pixar’s co-op program, which allows the studio’s artists to make films in their own time. 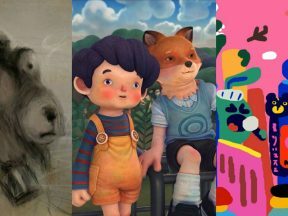 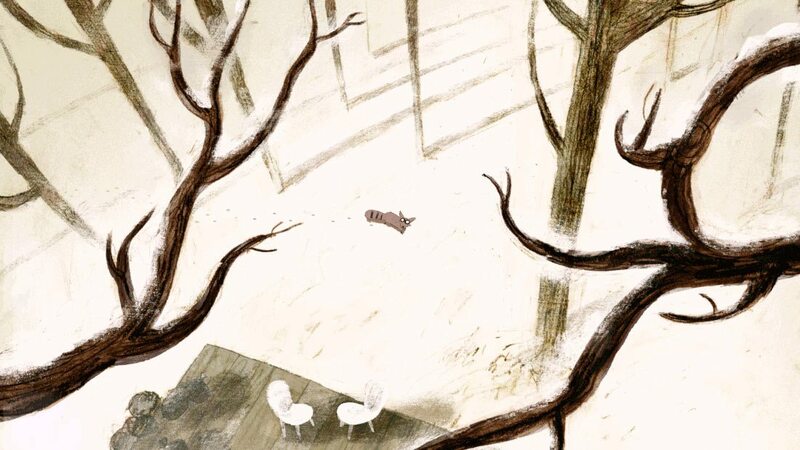 Prior shorts that have been made through the program include Robert Kondo and Dice Tsutsumi’s The Dam Keeper and Andrew Coats and Lou Hamou-Lhadj’s Borrowed Time, both of which were nominated for Academy Awards. 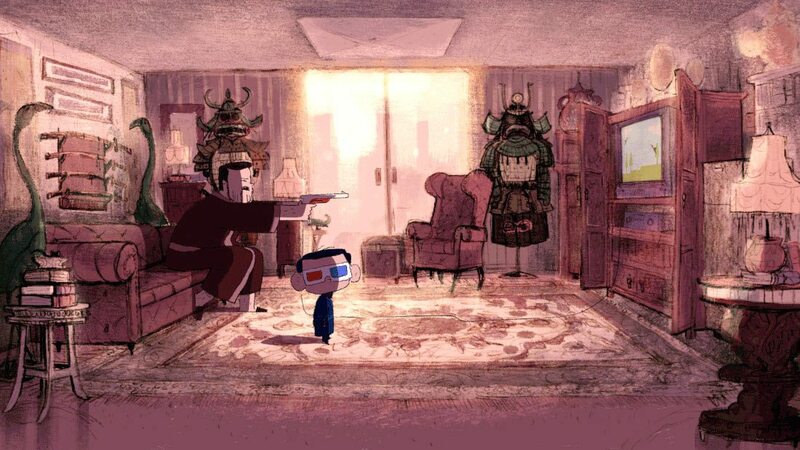 In July 2016, after developing the film for years on his own, Jimenez enlisted the help of Chris Sasaki (Monsters University, Sanjay’s Super Team), who subsequently joined Weekends as production designer. 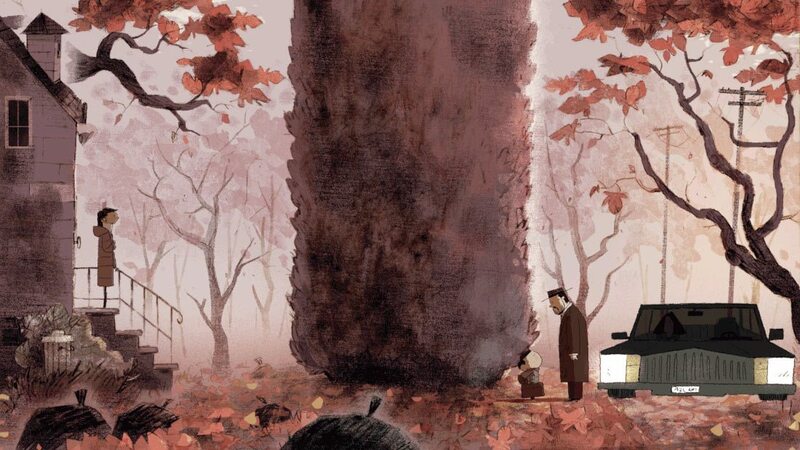 Sasaki worked with a small group of people – both inside and outside Pixar – to paint all of the film’s backgrounds. 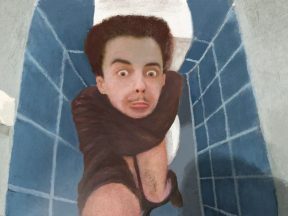 The distinctive tone of the imagery was achieved by drawing the backgrounds in charcoal first and painting digitally afterward. 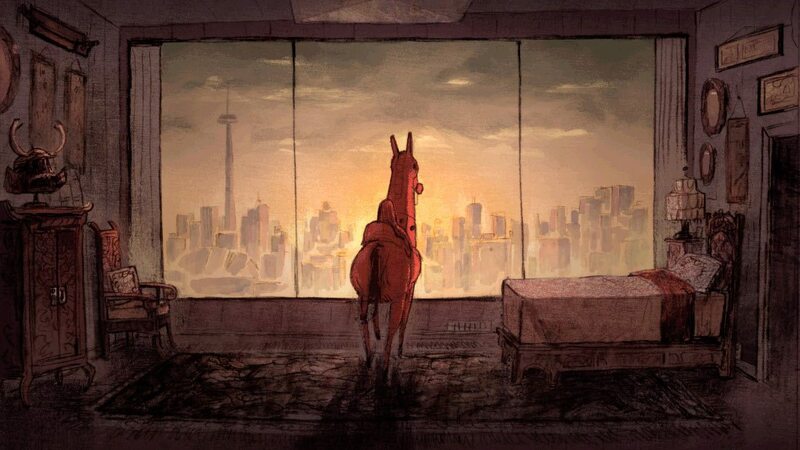 Weekends is just starting its festival run so look for it at your favorite animation events. 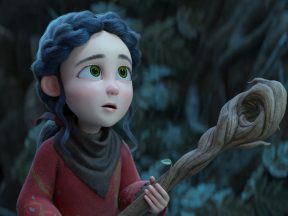 To learn more about the film and upcoming screening dates, stay tuned to WeekendsFilm.com or the film’s Facebook page.